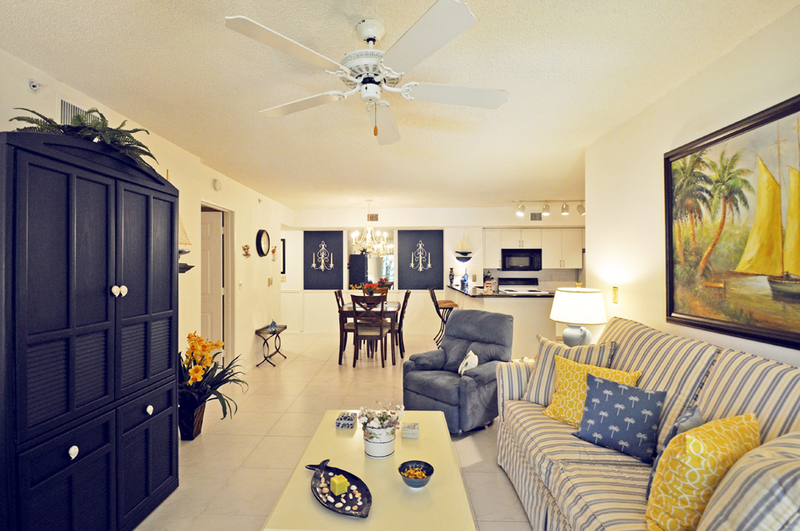 Please Call For Availability: This tastefully furnished 2 bedroom, 2 bath, and 2nd floor unit is decorated with a beautiful nautical essence. 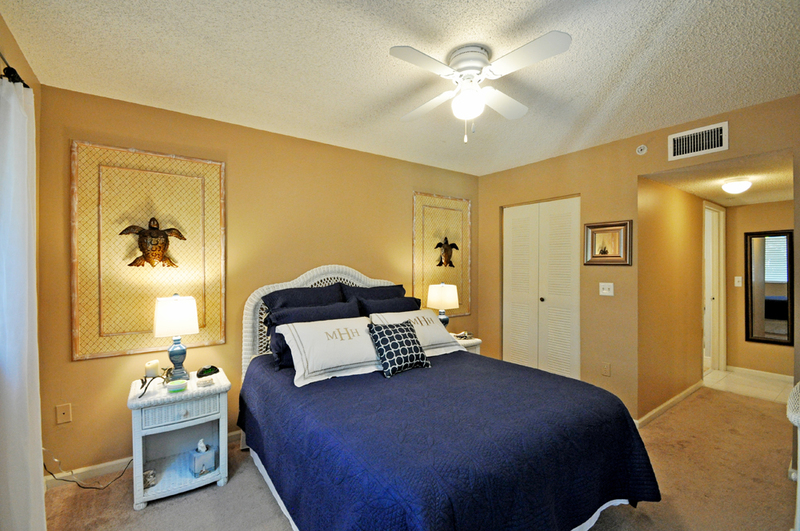 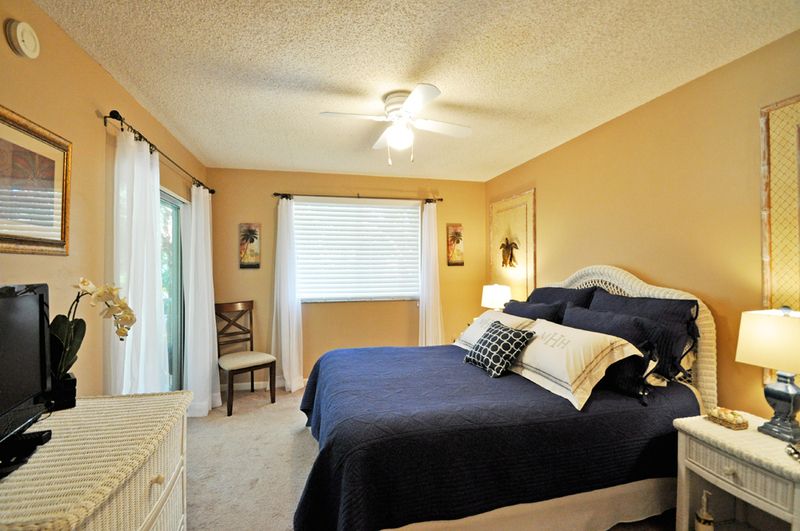 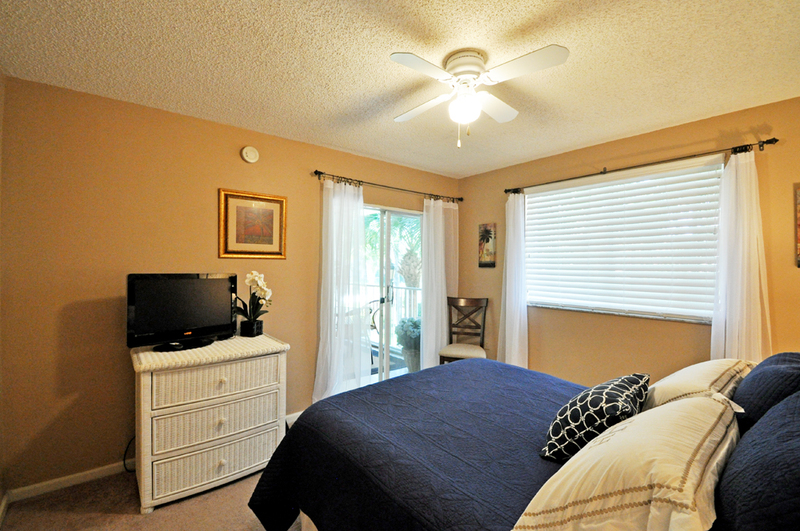 This unit provides spacious and beautifully decorated bedrooms that are designed as Master Suites. 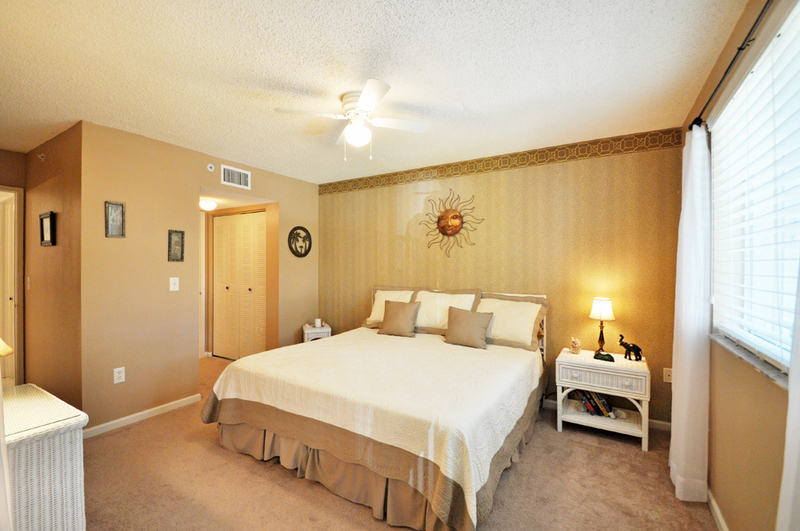 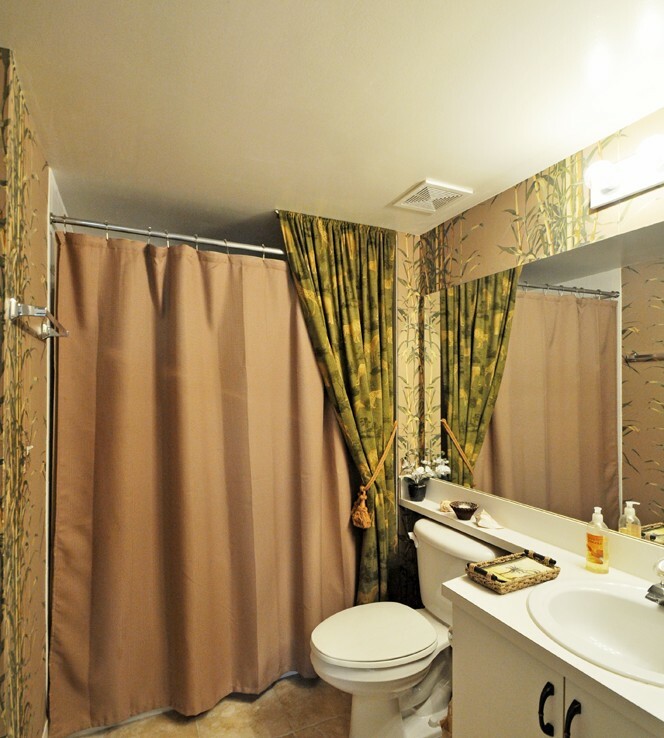 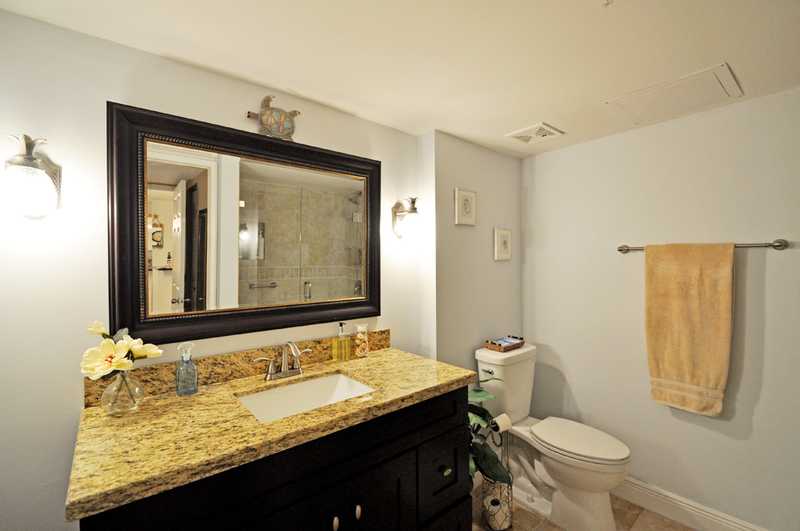 Each of these bedrooms have private bathrooms and ample closet storage. 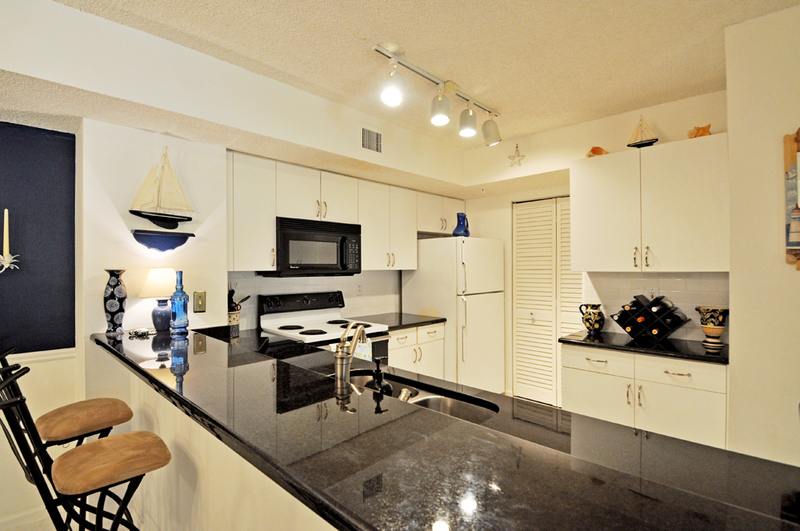 Enjoy the kitchen’s granite counter tops and breakfast bar for casual dining. 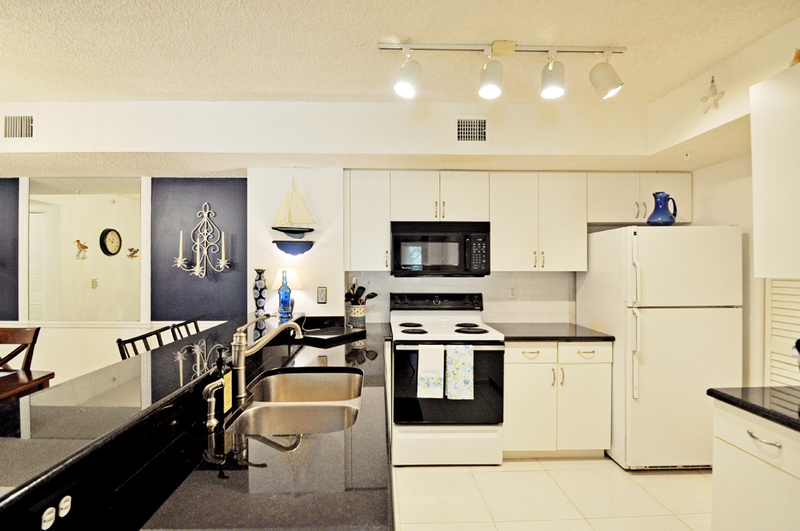 The fully equipped kitchen is supplied with all of the necessary cooking and cleaning essentials. 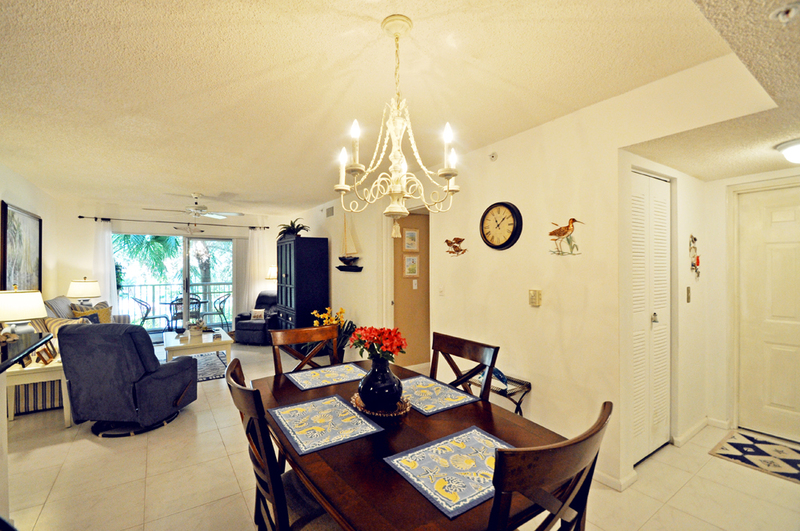 Also, a spacious dining area is provided for you and your guests. 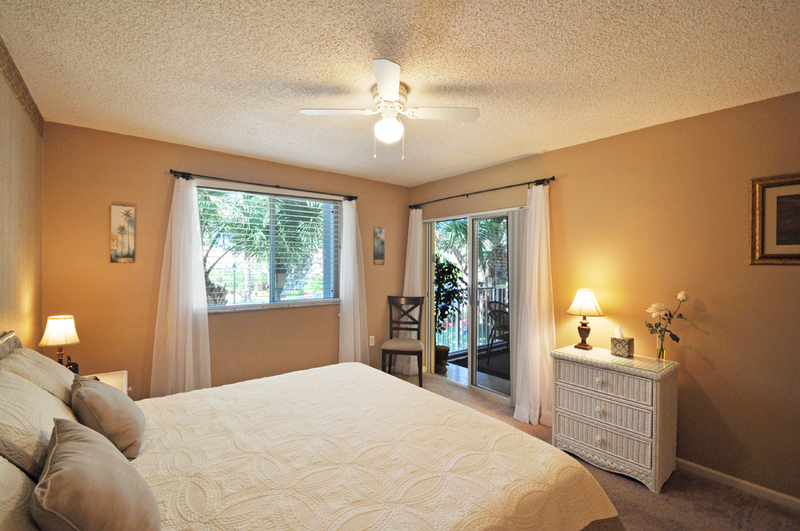 The large living room is the center point to the home. 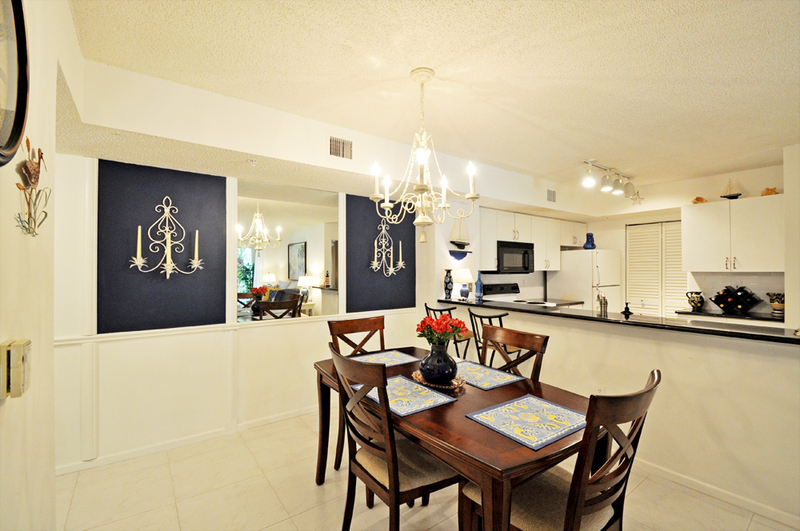 This floor plan is great for the social ambiance while cooking, dining, or just lounging around. 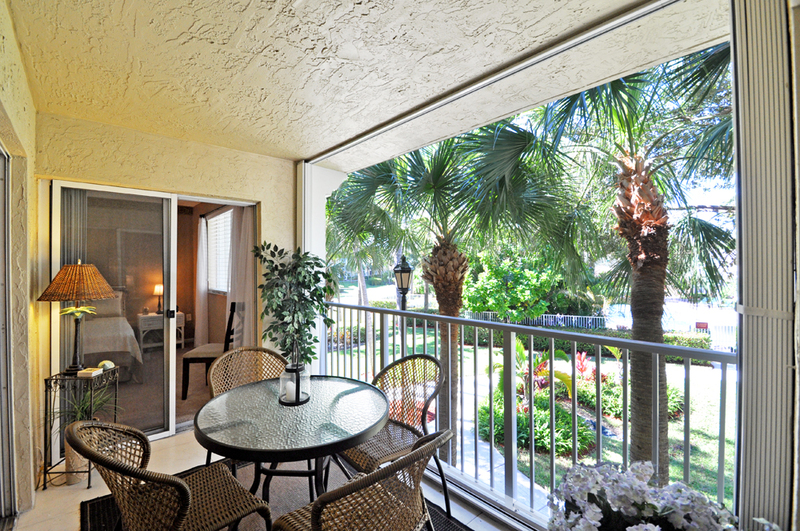 With access from the living room, or either of the bedrooms, a large covered lanai is a great place to enjoy a full breath of the Florida air. 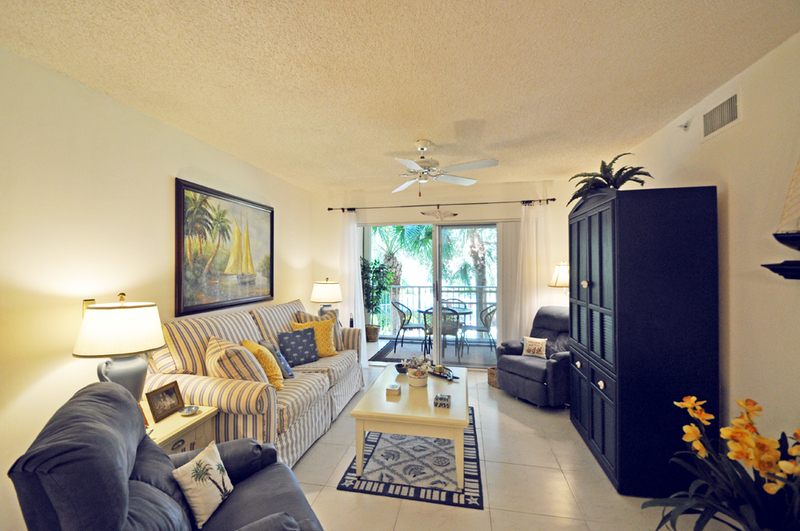 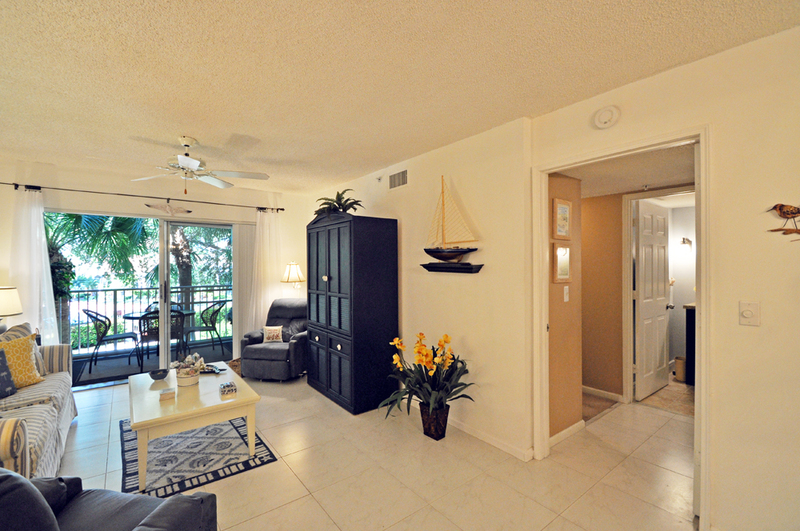 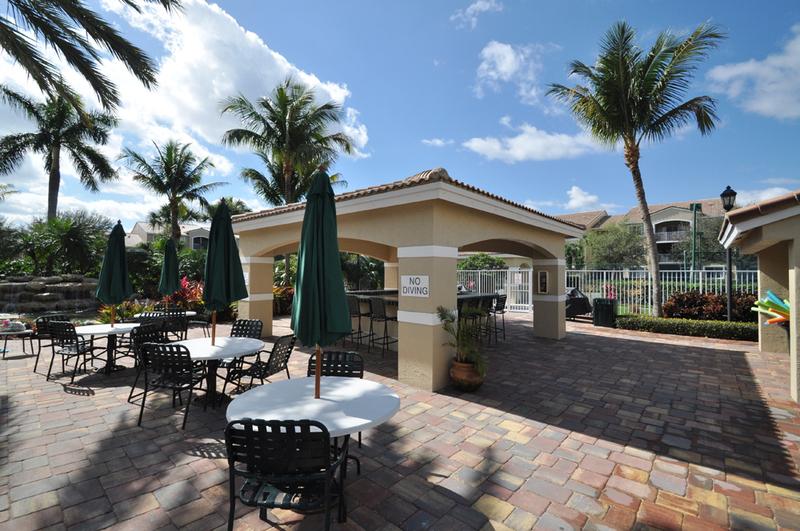 The covered lanai offers you extended living space and a direct view of the clubhouse and pool. 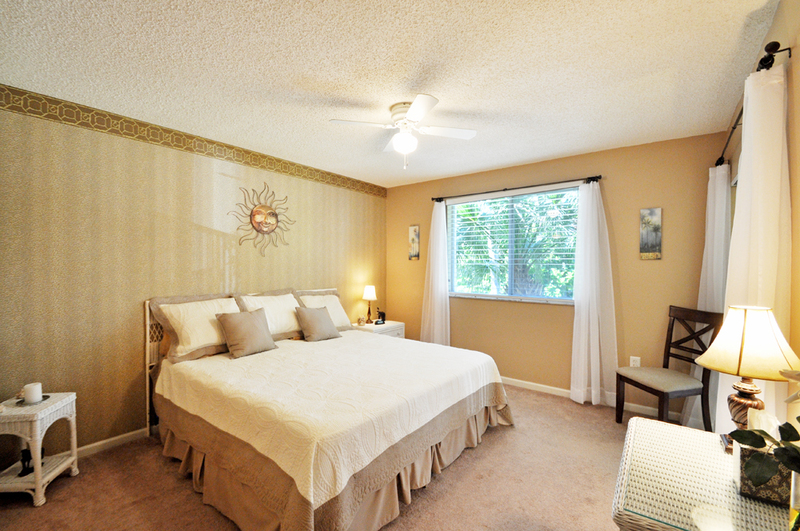 You will truly enjoy this relaxing retreat anytime of the day. 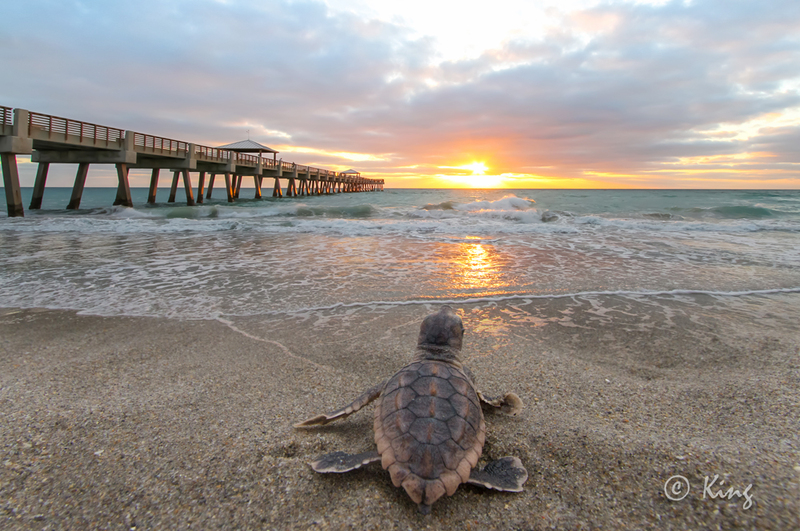 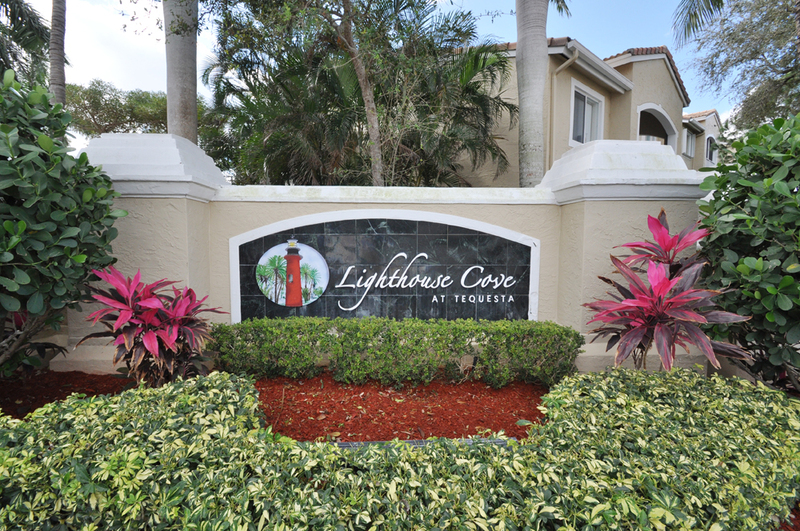 Lighthouse Cove offers outstanding resort-style amenities. 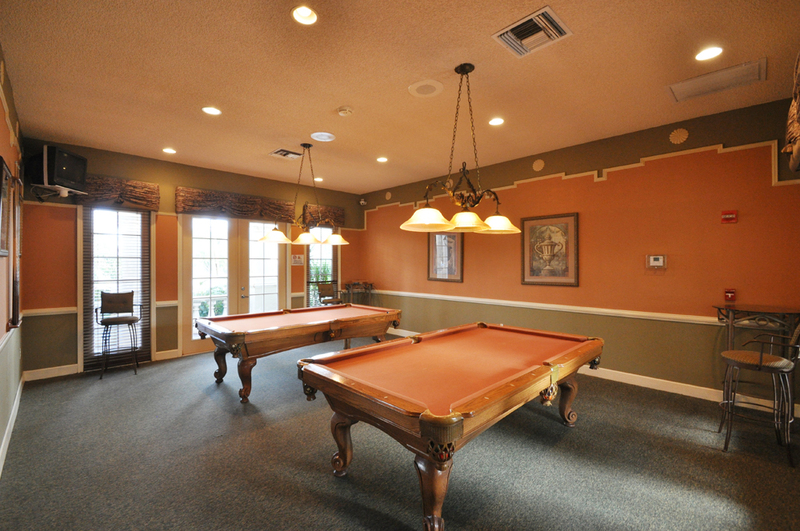 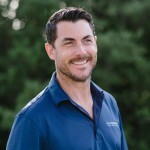 These amenities include a clubhouse with a luxurious pool, an indoor racquetball court, a fully equipped fitness center, a billiards room, tennis courts, paved sidewalks, an outdoor cabana with a barbecue area, outdoor volleyball, and other recreational facilities to be enjoyed with your family and friends. 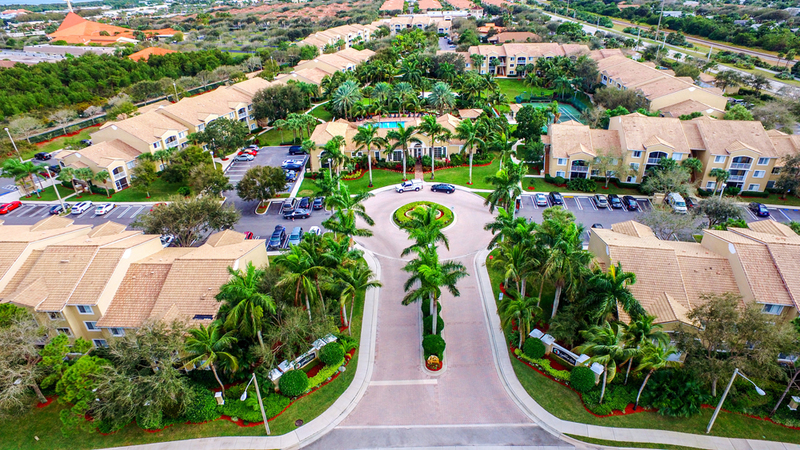 The well-manicured and tropically landscaped common grounds make for a very pleasant walk around the community. 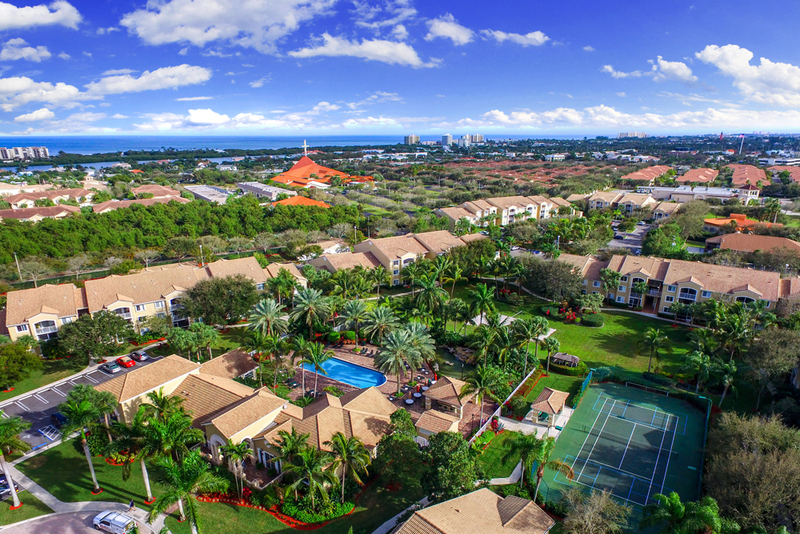 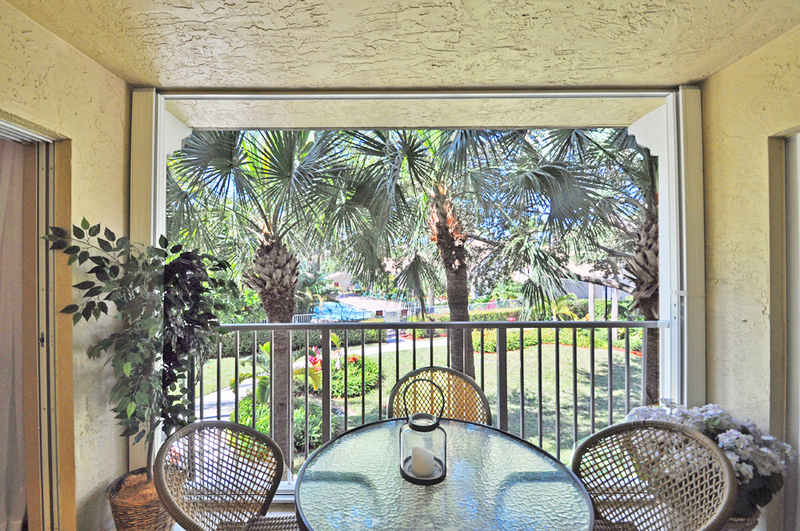 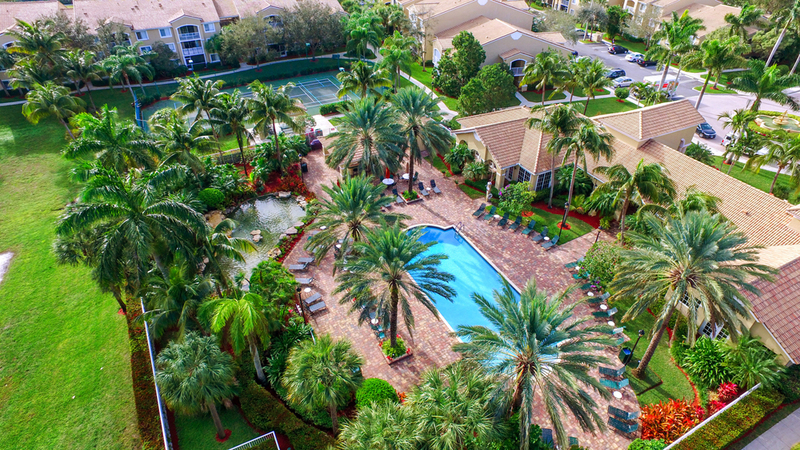 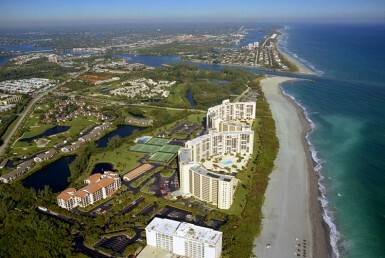 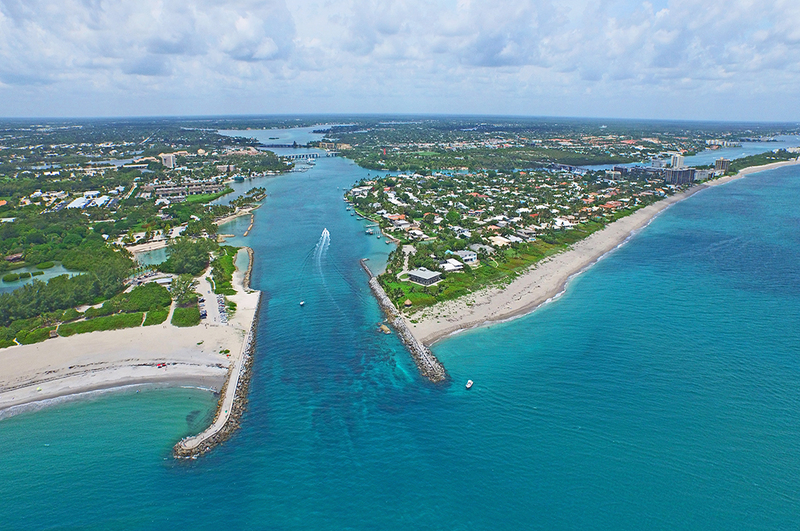 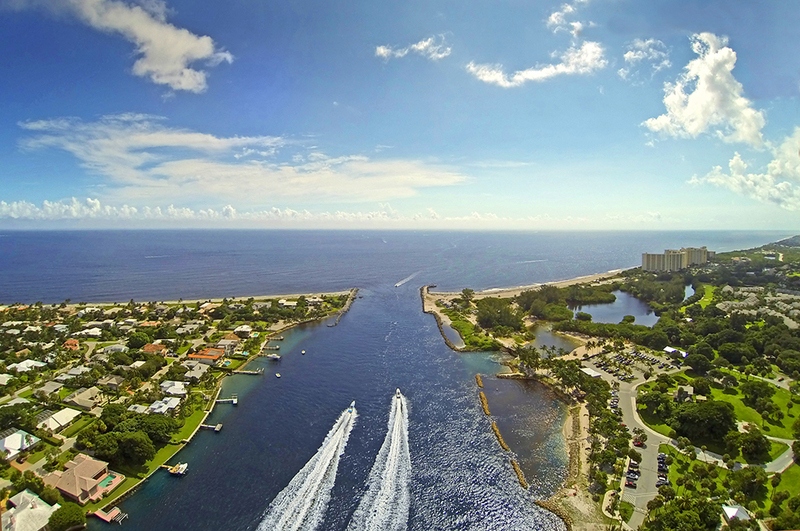 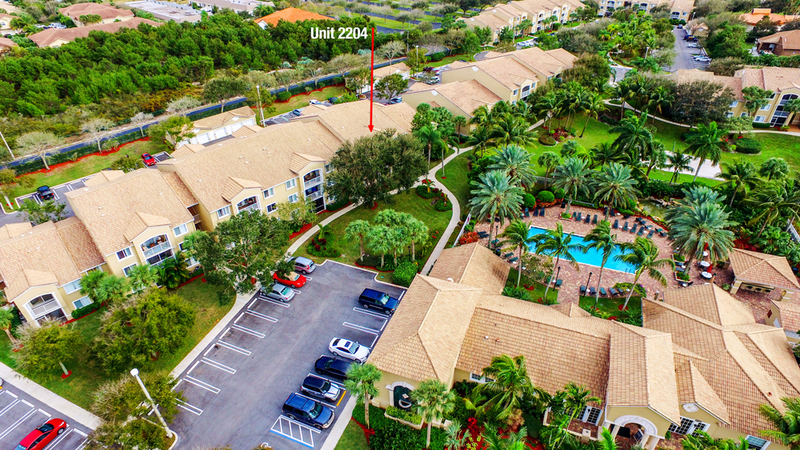 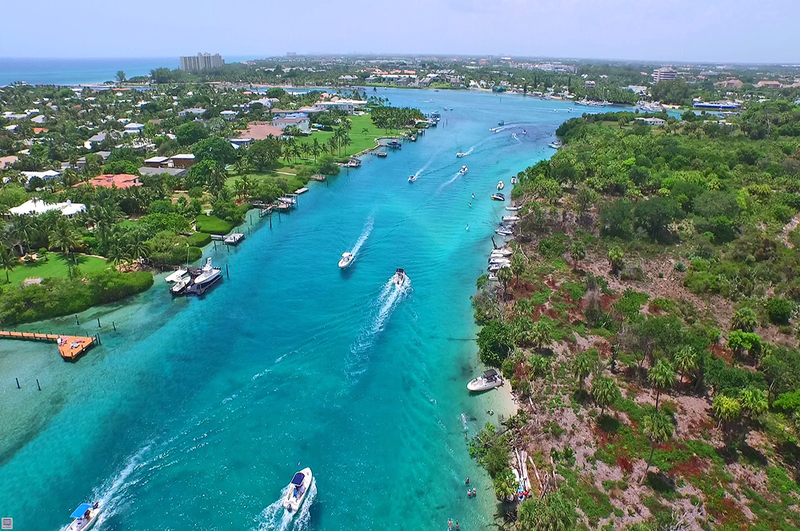 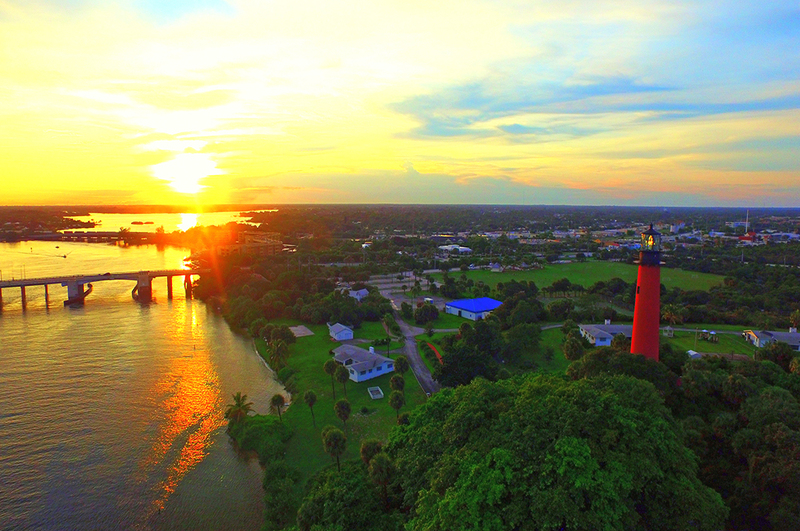 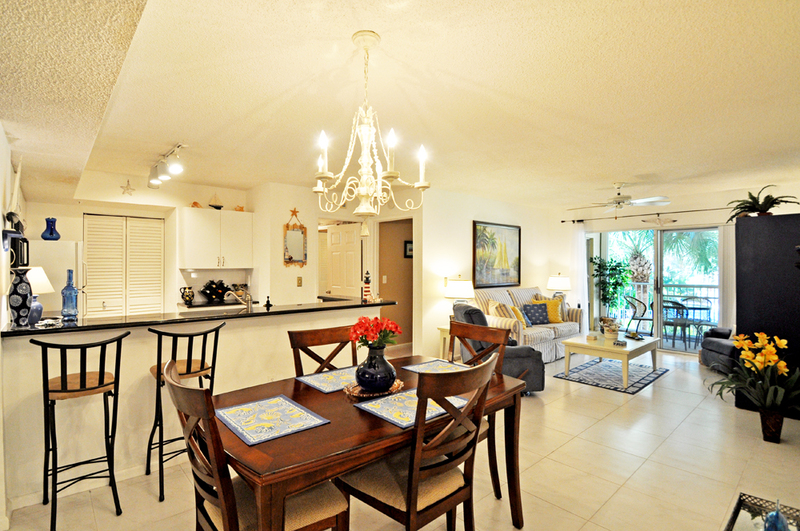 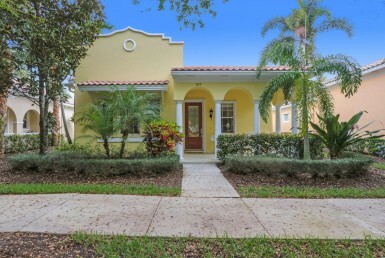 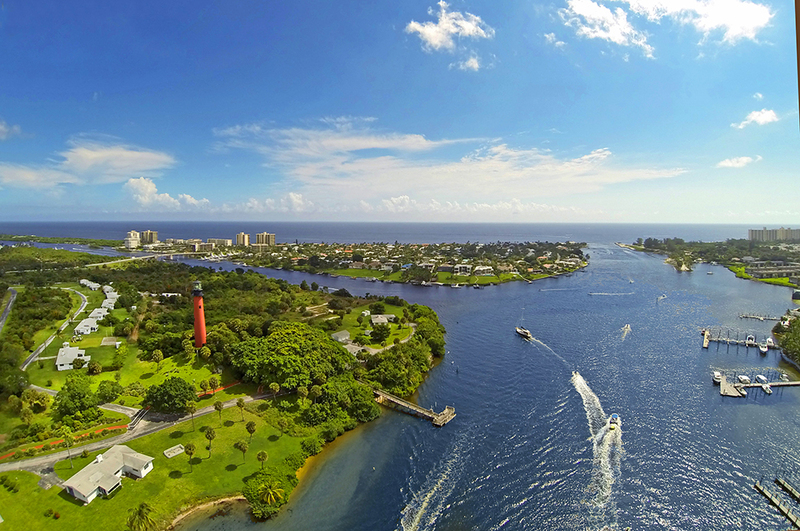 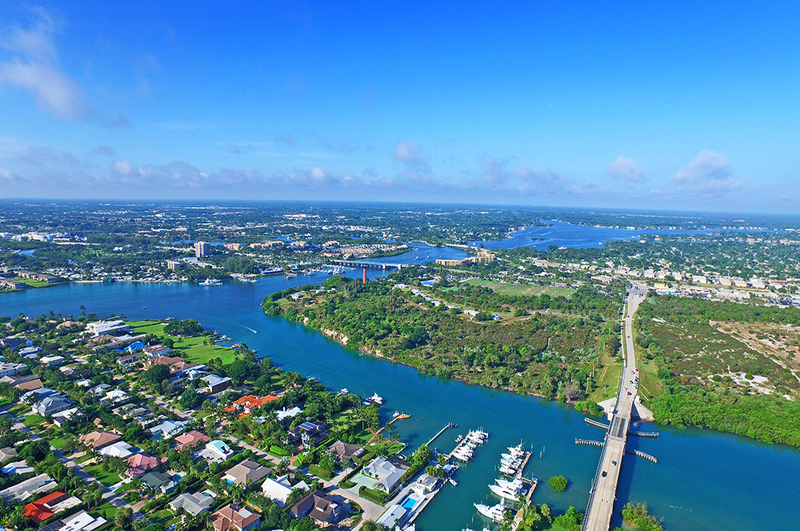 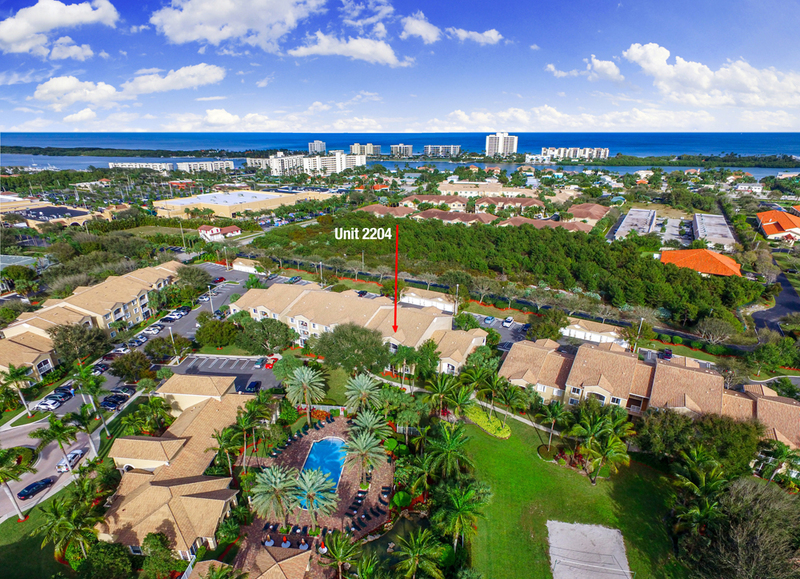 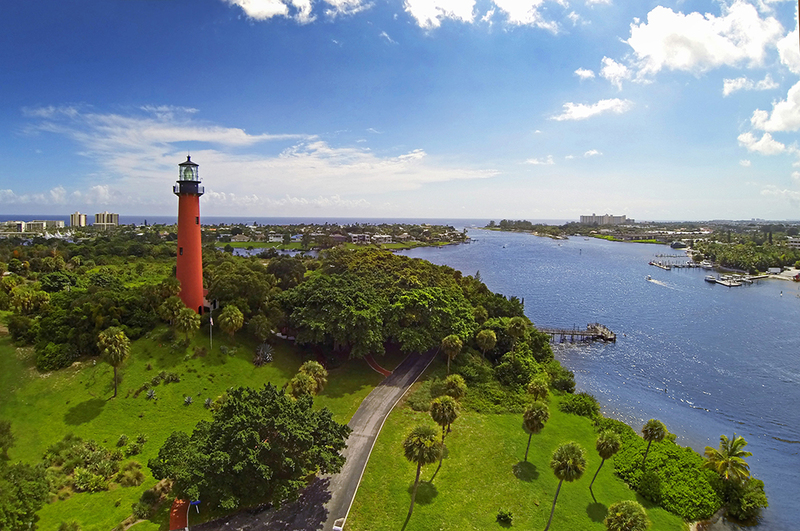 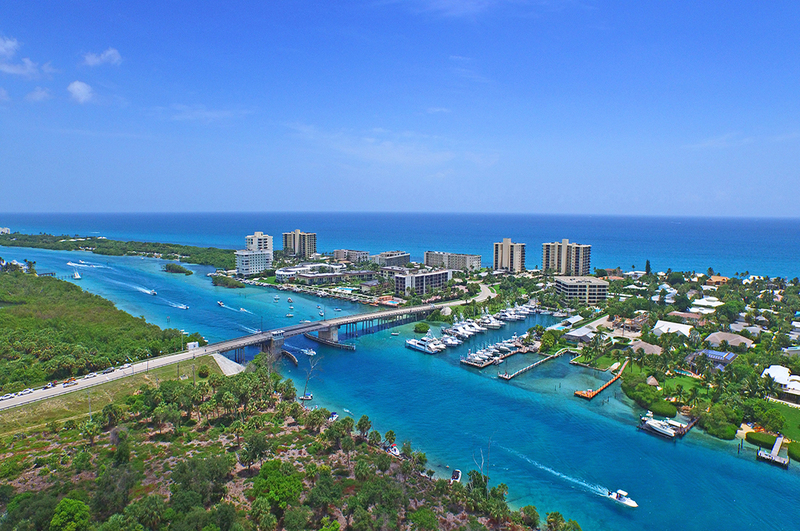 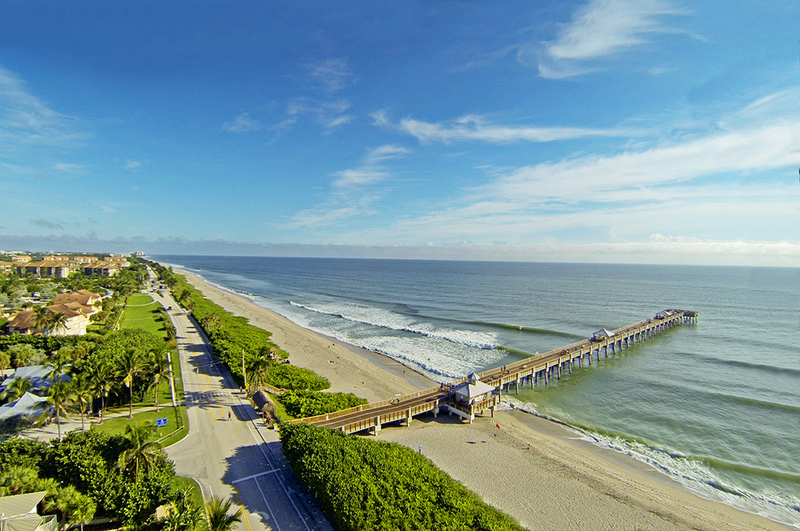 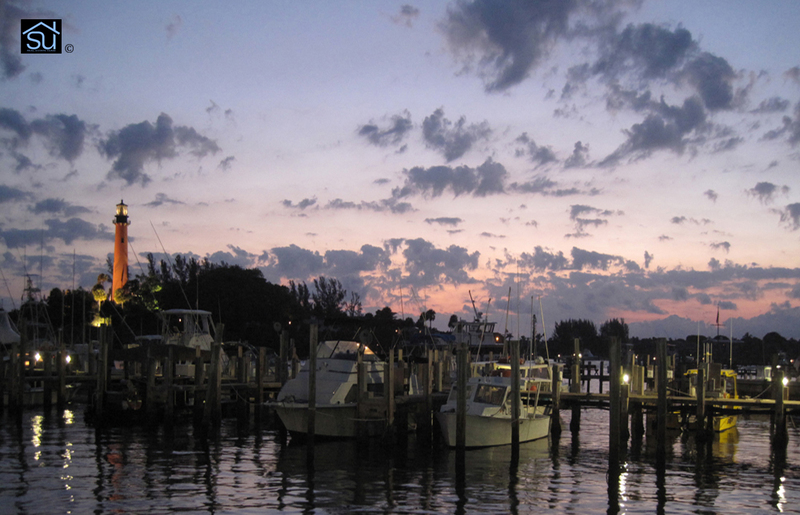 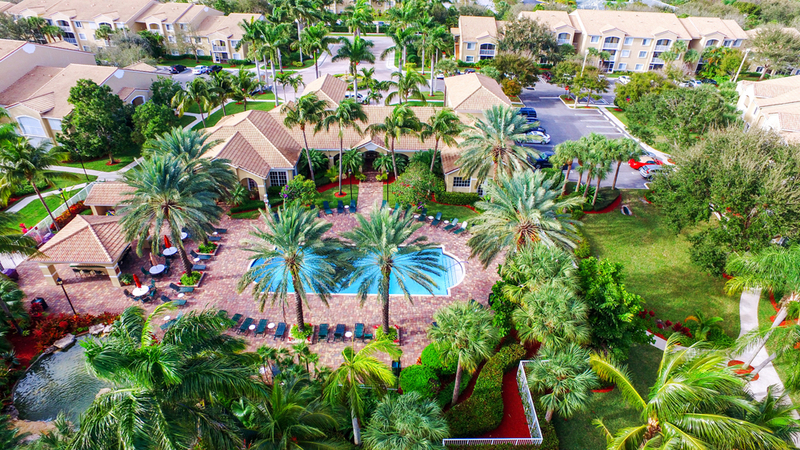 Lighthouse Cove is centrally located in the heart of Tequesta. 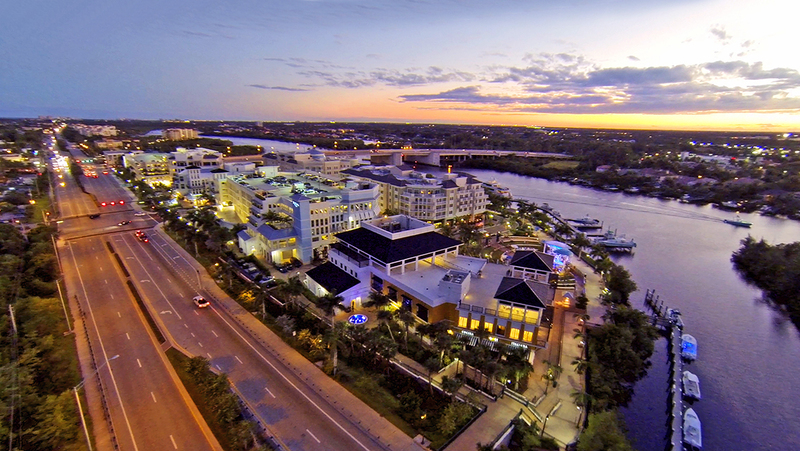 Only minutes to delightful restaurants, amazing shopping, and renowned beaches. 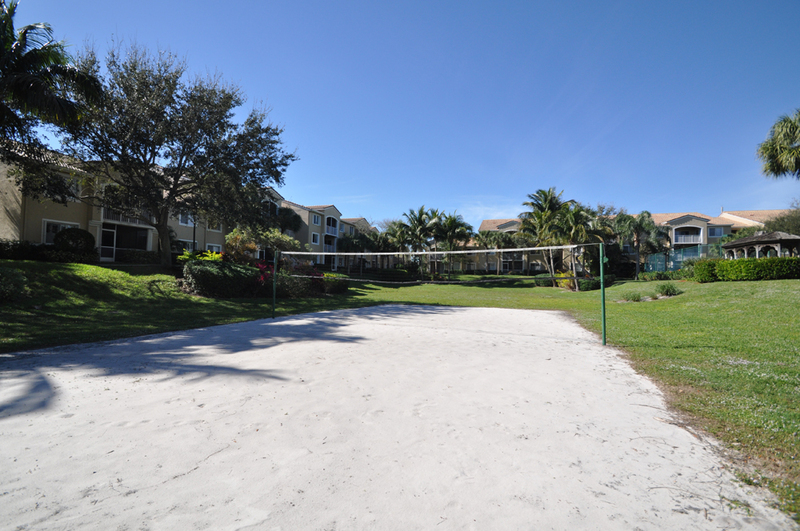 Bring your clothes, toothbrush, and sunscreen! 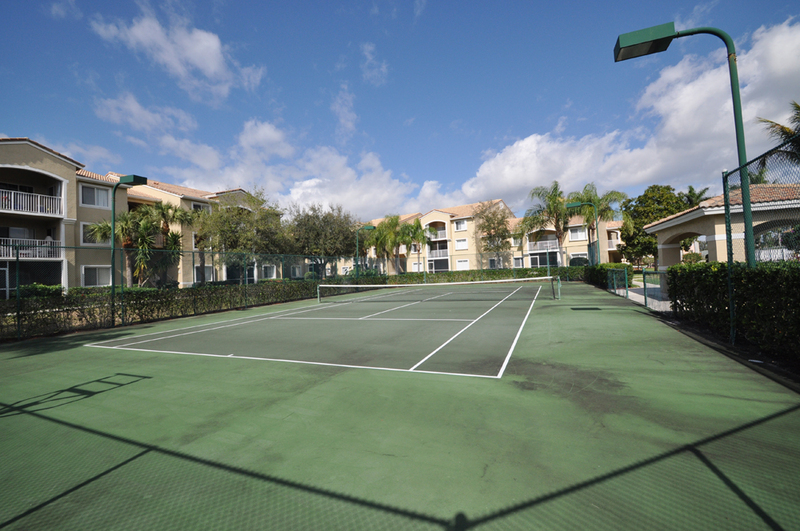 This delightful condo, and charming community, offers you all other essentials you might need or could imagine. 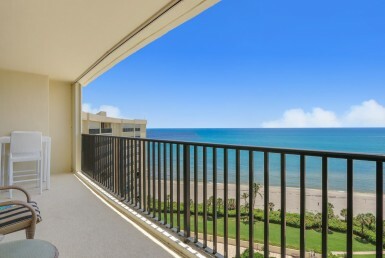 Available between May 1, 2019 – Dec 31, 2019. 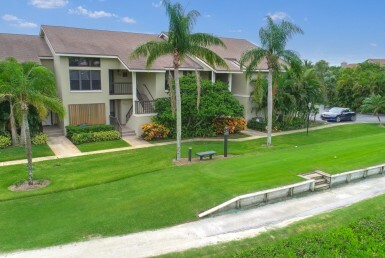 Come view this condo today. 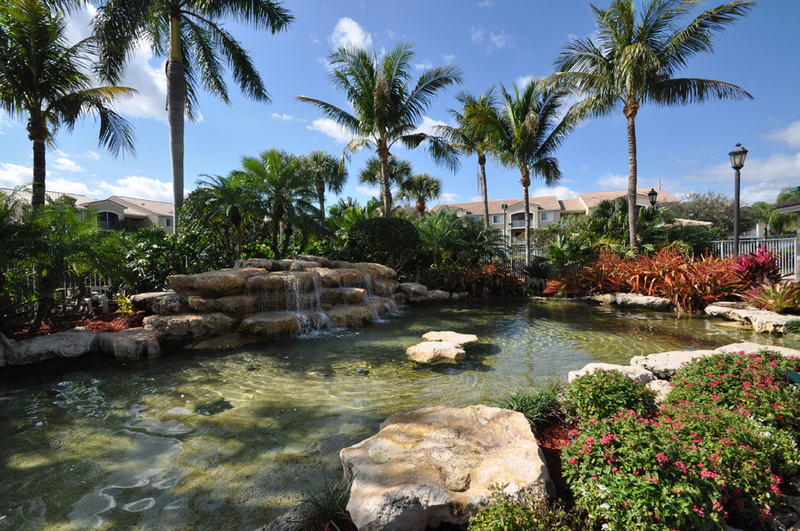 You will want to start enjoying this tropical oasis!